With a 99.9% guaranteed uptime, Exchange Online guarantees you will never have to worry about missing an e-mail or not being able to check your calendar. Remote access allows you to send and receive e-mails whenever and wherever while you are working. 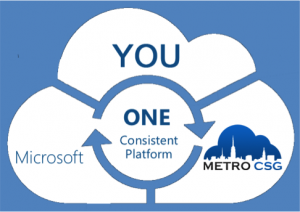 Metro CSG helps you set up the built-in Office 365 communication service, Skype for Business. This program allow users to communicate immediately and seamlessly across devices through phone, IM, video, and chat. SharePoint Online lets you share files to people both within and outside your office, and gives you control over who can see and edit what. You have access to 1TB of online document storage with OneDrive for Business so you can always access and work on your documents from any device where ever you are. Metro CSG has been an indispensable partner to work with. After contacting Metro CSG, they put a plan together, answered all of our concerns and executed the project better than we could have anticipated. Office 365 surpassed all of our expectations. Because we have users who work from remote offices and who telecommute we have always had to use lots of administration time and expense to accommodate their e-mail and keep their mailbox file sizes down. With Office 365 they are able to access all their email including archives and we are not concerned with space issues because of all the storage space we need is included with our subscription. Try Out Office 365 for Free! Metro CSG is a customer service company that specializes in finding the right technology solutions to best help your business. 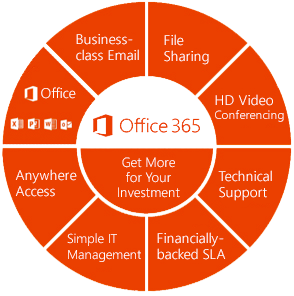 We will help you to take full advantage of the powerful features Office 365 has to offer. Every company is different, so we work with you to build an Office 365 Cloud Solution to fit with your established infrastructure and maximize your overall productivity. Let us worry about your technology so you don’t have to.